A guide to Brawl Stars' Colt. We go over the Brawler's strengths, weaknesses, and strategies in each of the game's modes. Colt is an offensive brawler that can deal damage from a considerable distance. His attacks both fire in a straight line while his super attack, Bullet Train, has one of the longest ranges in the game. Colt is a glass cannon, a low health pool offsetting his high damage. Long Range – Colt’s highlight are his basic and super attacks, also having one of the longest ranges in the game. With this, he can deal damage from a mile away without worrying about short range threats. Low Health – The tradeoff for Colt’s high damage is his abysmal health pool. He is one of the squishiest Brawlers in the game, so one small mistake in positioning can quickly spell defeat for this glass cannon. 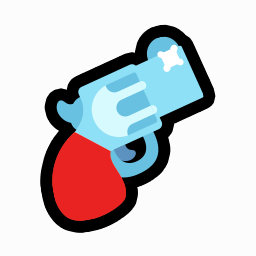 High Skill Cap – Both Six Shooter and Bullet Train travel in a straight line, which makes it hard to hit agile enemies. You need to have a keen sense of anticipation in order to effectively hit with all of Colt’s bullets. Six-Shooter Colt shoots six straight long-range shots out of his revolver. This attack fires a straight line of bullets to a location. Be sure to aim in advance since Six-Shooter cannot be modified once you fire it. As Colt fires over a period of time, the bullets’ trajectory can change based on where Colt is moving. Bullet Train Colt rattles off a massive burst of bullets that shoot extra far and destroy cover. Bullet train looks very similar to Six-Shooter for the untrained eye because of its similar animation. If you want to surprise an enemy hiding behind an obstacle, fire one basic attack before following with Bullet Train. This ability can destroy walls and obstacles, so it’s good for killing enemies behind walls or hiding in the grass. Colt is not a good gem carrier in Gem Grab. He is, however, useful at providing damage and securing the gem mine for his team. Try to hide in the bushes as much as possible and pick off enemies. Use the element of surprise and don’t give out your position too easily. Solo – Go for the same strategy as in Gem Grab. You want to hide as much as possible in the grass and use the element of surprise to kill enemies to get Power Cubes. You can also try to use suppressive fire on enemies near the toxic gas to make them panic. Duo – It’s better to have a short range brawler as your duo in Showdown. Your main goal is to provide damage and be on the lookout for enemies who are trying to get close to your team. 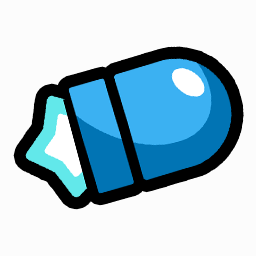 Use Bullet Train to destroy obstacles and pick out enemies from behind cover. It’s a tough road for Colt in Heist given how hard it can be for him to advance past enemies. Once he finds a path to the safe, though, he can deal a lot of damage and hastily lessen its health. Otherwise, Colt is better off picking off enemies so that his allies can advance. Colt can be useful in Bounty provided that he has a lot of support and he stays far away from enemy brawlers. What you want to do is maintain distance and fire whenever an enemy comes close. Colt can defend himself as well as long as he knows what he is careful and stays in motion. Colt is not a good pick in Brawl Ball because he lacks abilities that can control the movement of enemy brawlers. If you really want to play Colt in this game mode, the best thing you can do would be to kill the enemy brawlers and provide support to the ball carrier. Maintain pressure and always try to protect your allies, especially the ball carrier. As a non-boss brawler, try to overwhelm the boss with a constant stream of bullets. Colt has a lot of damage output and managing to land all of your bullets successfully is a huge help. As a boss brawler, you want to focus on actually outmaneuvering the enemy. Attack from afar to pick enemies off before they can reach you. Colt is actually a good choice in Robo Rumble because he can lure the robots to him in a straight line and kill them all. It is much easier for him to pick off AI opponents than Brawlers, so dispatching them is easier. Don’t be too complacent, though, as Colt doesn’t have much health and one mistake can cost you the entire game.